Simple to operate and supervise due to its compactness and reliable design of control system. Ensure a low operating cost due to the low fuel and oil consumption of high efficiency diesel engine. The exhaust gases meet the US EPA standart gas emission and support therefore the global campaign for environtmental friendly products. Compact in dimension to reduse the need of high cost related space for placing the generating set. V-Engine technology is applied even in smaller capacity to minimize the overall dimension of the unit and increase the efficiency at the same time. Thus, it has the capability to provide reliable power for a wide range of applications, wherever and whenever it needed. PT. 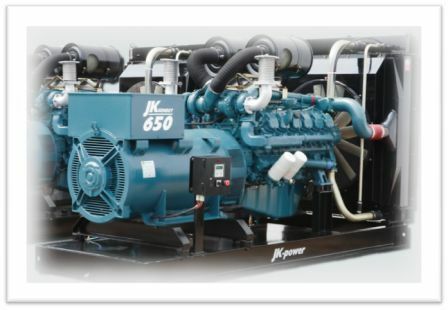 Jaya Kencana is a distributor of JK Power Genset, TLT-Turbo GmbH fan, Massive/Vortice Fan. We also sole distributor for Sigma Lift and Escalator, and provide Mechanical and Electrical contracting service in indonesia. PT. Jaya Kencana adalah distributor yang jual Genset JK Power, Jual TLT-Turbo GmbH fan, Jual Massive/ Vortice Fan. Kami juga distributor tunggal untuk Jual Lift Sigma dan jual Escalator Sigma, dan menyediakan layanan kontraktor Mekanikal dan Elektrikal di Indonesia.